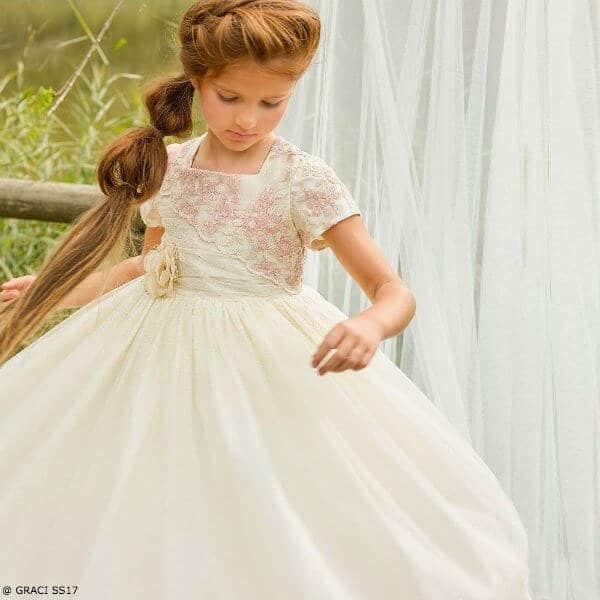 Your little princess will look stunning wearing this girls pink and ivory brocade dress by Graci. Designed in Spain, this gorgeous dress features a fitted bodice with a lovely pearlised brocade floral pattern, a diamanté and pearl decorative waistband and flared peplum hem. 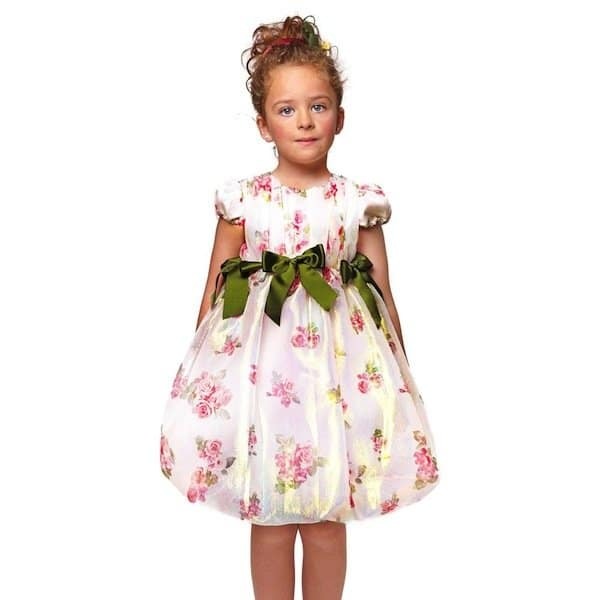 This pretty dress has an attached skirt has an overlay of soft tulle, with a satin underskirt and stiff petticoats, which give a full and flared shape. Complete the look with a pair of these MANUELA DE JUAN Gold Glitter Leather Girls Shoes that makes this outfit look even more royal.